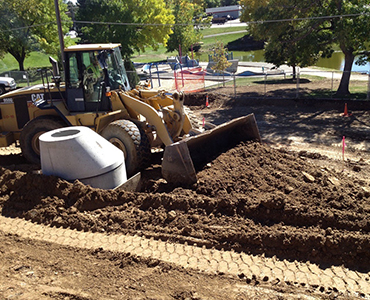 From small to massive, our goal is satisfied contractors and property owners. 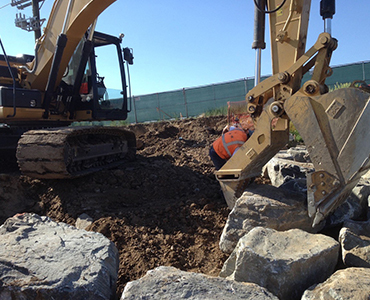 Diamond Excavating is involved in a wide variety of earthwork projects including full service in all excavation needs from large commercial, public and residential developments to high-end custom homes, along with all water, sanitary and storm needs. 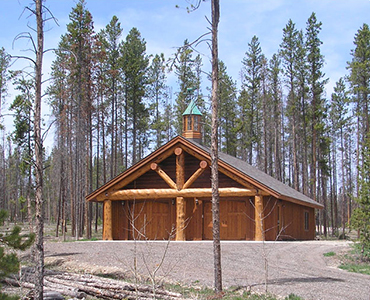 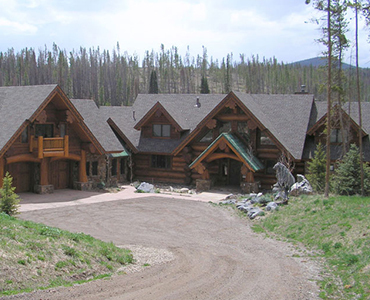 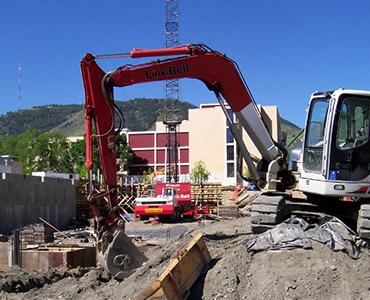 The following are a sampling of the hundreds of projects completed by Diamond Excavating. 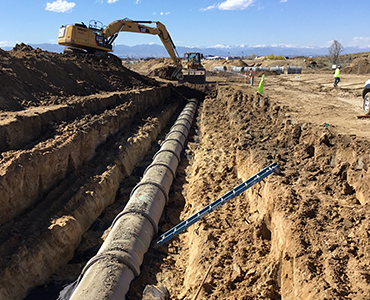 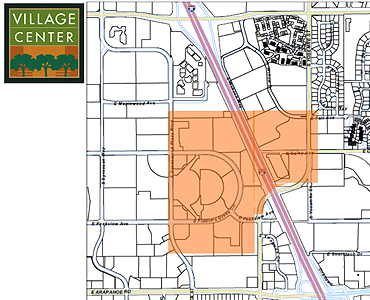 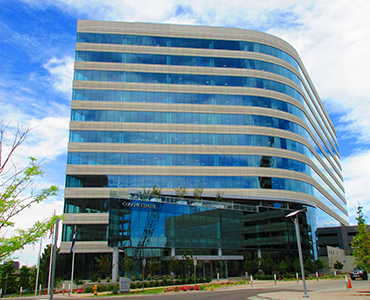 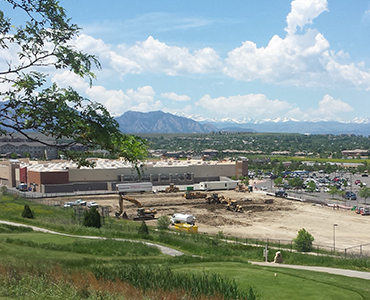 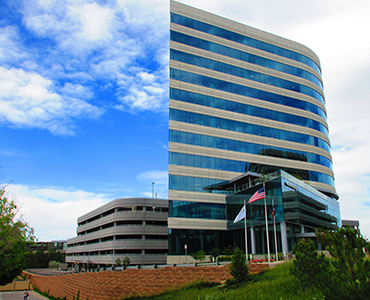 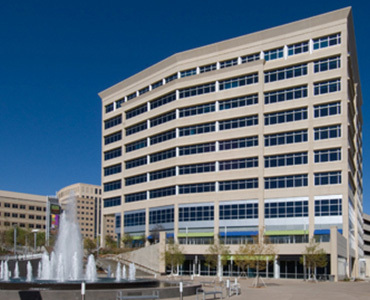 Diamond Excavating is the excavation and utility infrastructure contractor for new Village Center Station in Greenwood Village, Colorado, including the office towers, plaza and parking structure. 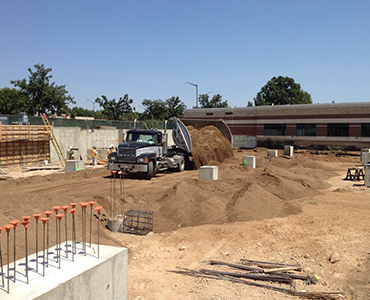 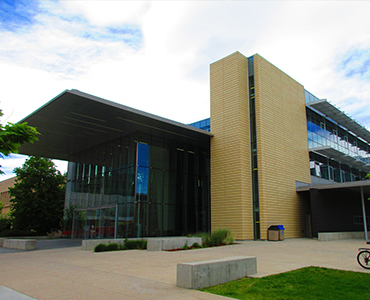 Overlot grading and foundation excavation included a seven-foot overexcavation and recompaction below the building; approximately 90,000 square feet of combined concrete and asphalt preparation, and 50,000 square feet of landscape grading. 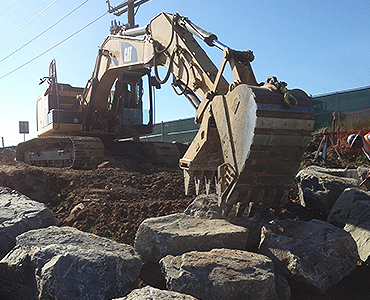 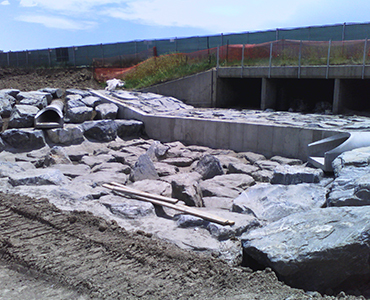 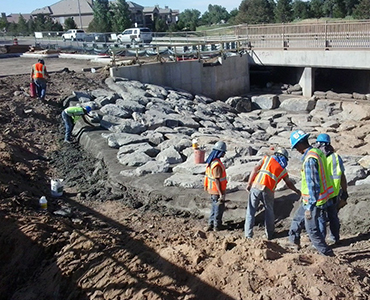 200 tons of "hand picked" boulders were precisely placed, then specially grouted-in to create a natural flow for water and erosion management along Windmill Creek at MorningStar Assisted Living and Memory Care. 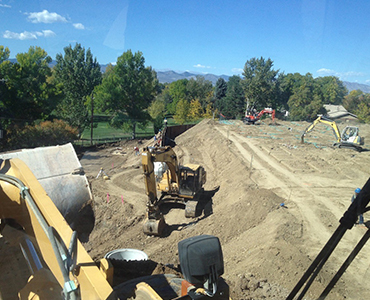 More than 15 thousand cubic yards of earth were moved. 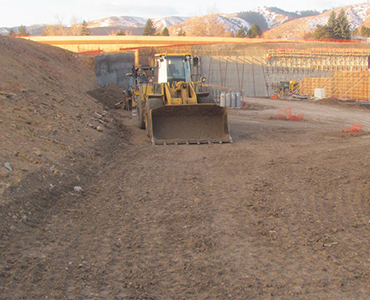 Excavated for large multi-level retaining walls. 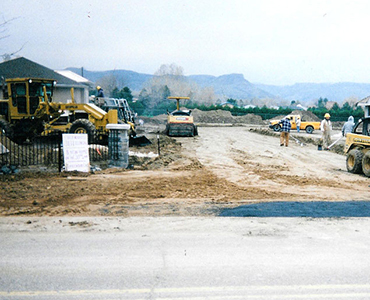 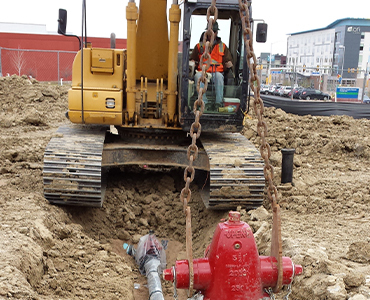 Wet utilities included a water line loop with fire hydrants and building services, sanitary, storm water management. 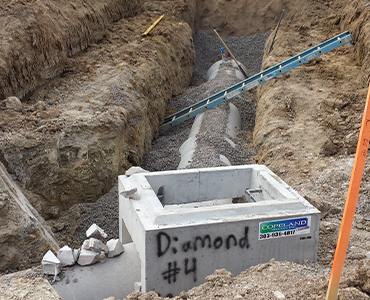 75 to 80% of Diamond Excavating's jobs consist of a complete package of earthwork and wet utilities. 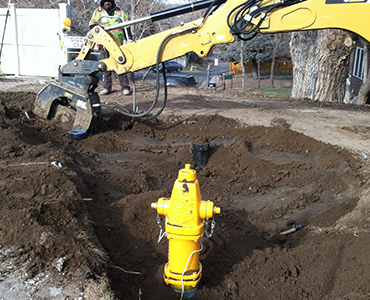 In this image, a main water line expansion includes new fire hydrants. 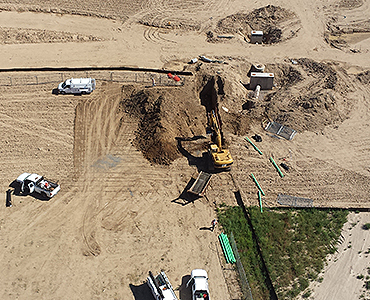 Subsequent images show additional water line projects. 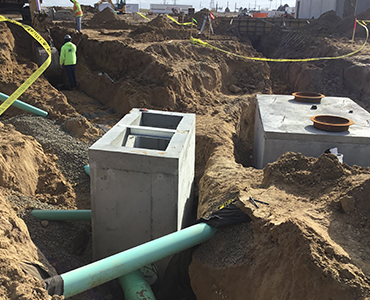 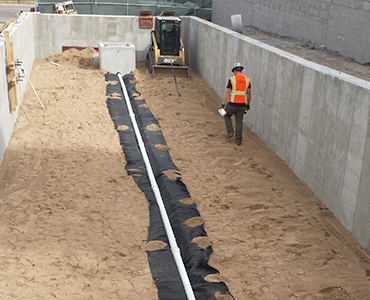 The 90,000-square-foot school Park Street Elementary School demonstrated the complexities of pipeline installations handled by Diamond Excavating. 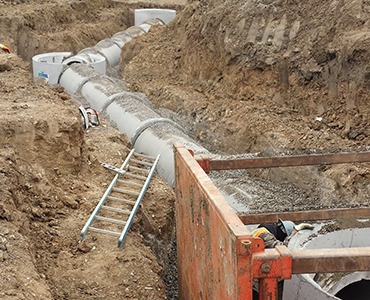 A reinforced concrete pipe with sewer line and grease interceptor crosses over storm lines. 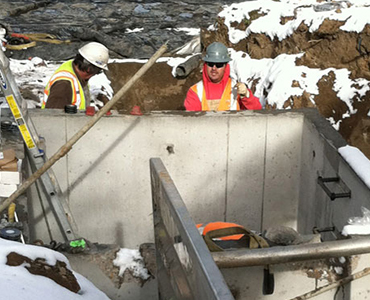 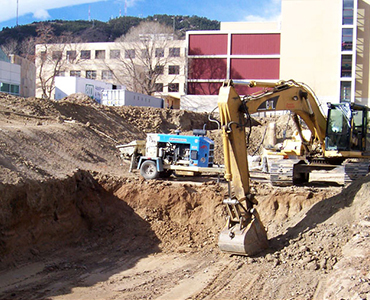 Multi-level excavation, specialized foundation and footer support excavation, as well as underground utilities and demolition of pre-built site locations with site preservation a priority. 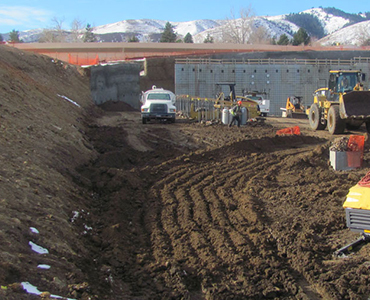 A 23-foot overexcavation and a complex tie-in for a new tunnel. 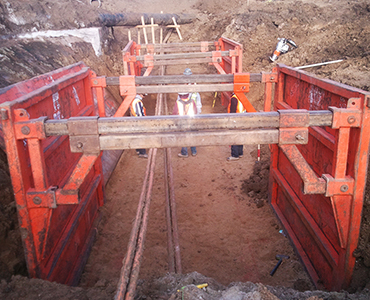 Diamond offered a professional level of value engineering for the tunnel excavations and tie-ins. 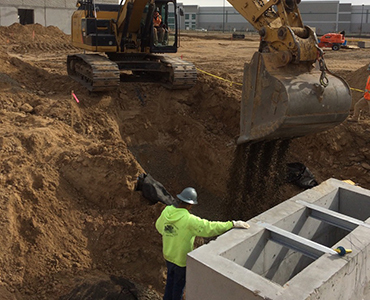 The Cancer Center addition to the existing hospital required significant structural fill import, placement and foundation backfill, along with tie in to existing wet utilties. 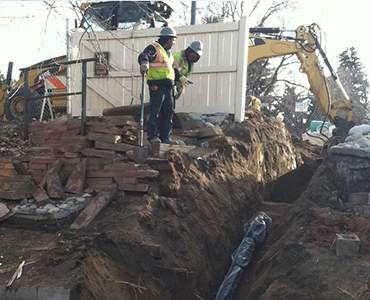 Included a scope of excavation along with a 17-foot backfill. 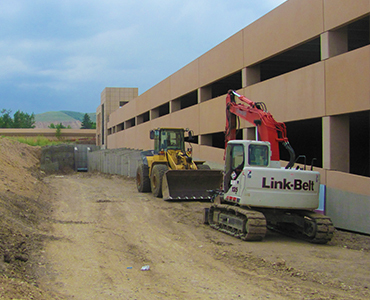 This project was underway throughout winter conditions with complex grading tolerances for the parking structure. 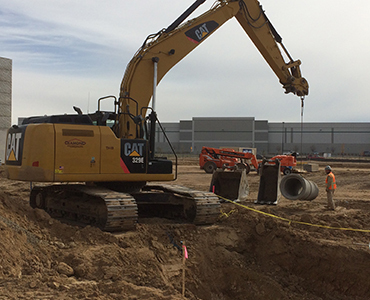 Another on time completion. 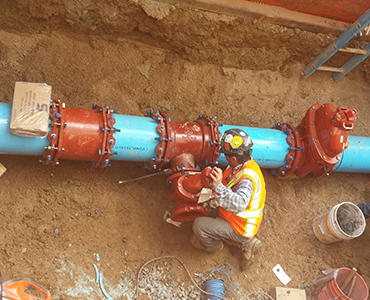 Diamond is experienced in cut-in and wet-tap tie-ins to main line infrastructure. 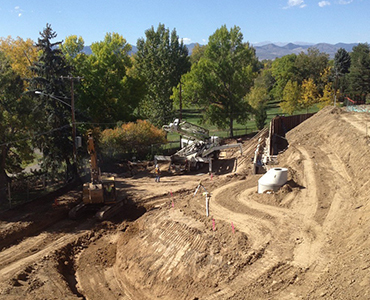 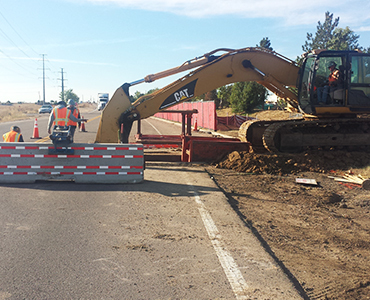 These projects typically require roadway traffic control, crossing of existing utility system lines, and carefully managed excavation. 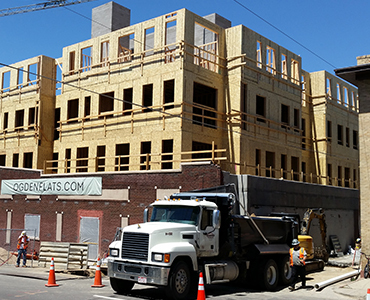 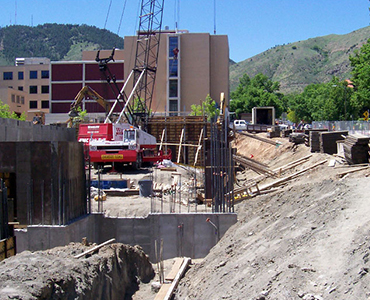 This project required deep foundation excavations, tiered site grading, and a utility loop encircling the development of the 11-story CoBank Building. 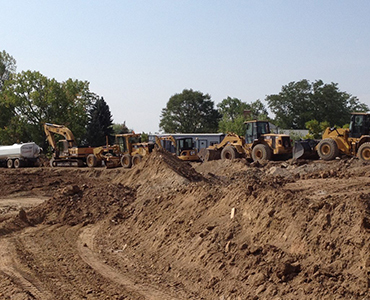 More than 30,000 cubic yards of earth were moved, with 15,000 cubic yards exported to balance the site.